« ContourHD Helmet Camera: Capture Everything! Here is your chance to add a couple new pieces to your drum set collection. If you are a collector of different sized pieces, this is the right auction to follow. Today’s auction features Two Bass Drums. 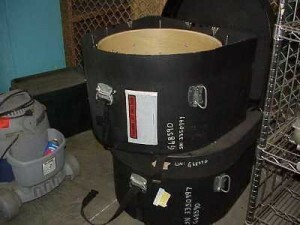 These drums look to be in great/working condition. This can be your ticket to that deep sound your band is looking for. These babies can pump out serious vibrations when tuned perfectly. 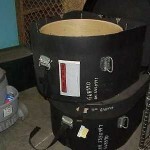 This lot of drums is available through an online auction. Bid while the price is low–it is currently at $10. These drums won’t last forever. If you want a chance to own them, you will have to place a bid before August 25. If you would like more information on this auction, click here and activate your free trial today. Bang Away On These Drums! Drums: Be The Next John Bonham! 2 Gibson Guitars: Have You Got the Blues? Wooden Upright Piano: Play It Again Sam! Baldwin Upright Piano: This Baldwin Can Sing! Baldwin Upright Piano: Come To Town! Yamaha Piano: A Grand Addition!